Since the World Conference on Special Needs Education held in Salamanca in 1994, there has been global political consensus that member states of UNESCO should implement Inclusive Education (IE). The idea that countries “should ensure an inclusive education system at all levels” is also a central objective of the UN-Convention on the Rights of Persons with Disabilities, adopted in 2006 and ratified by Poland in September 2012, and was also in evidence at the International Conference on Education held in Geneva in 2008. The article examines the connection between IE as an imagined concept disseminated by UNESCO and some examples of its various interpretations as reflected in country reports and official statements by various ministers of education worldwide. Particular reference is made to the texts of the Ministry of The National Education in Poland. 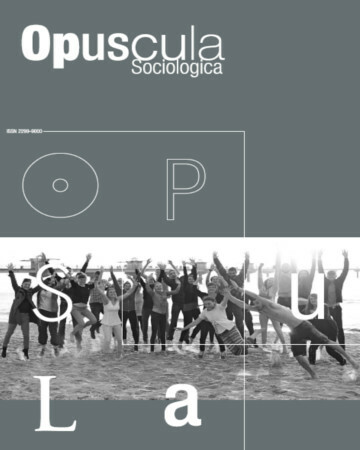 The underlying theoretical assumptions of the article are drawn from insights produced by strands of sociology of knowledge and sociology of organizations based on neo-institutional theorizing. The methodology used is indepth content analysis. 1. Baglieri, S., Bejoian, L.M., Broderick, A.A., Connor, D.J. & Valle, J. 2011. [Re]Claiming “Inclusive Education” Toward Cohesion in Educational Reform: Disability Studies Unravels the Myth of the Normal Child. Teachers College Record 113 (10): 2122–2154. 2. Baker, D.P., LeTendre, G.K. & Goesling, B. 2005. Rich Land, Poor Schools: Inequality of National Educational Resources and Achievement of Disadvantaged Students. In: National Differences, Global Similarities: World Culture and the Future of Schooling. Ed. 3. Berger, P.L. & Luckmann, T. 1966. The Social Construction of Knowledge: A Treatise in the Sociology of Knowledge. Garden City, Doubleday. 4. Booth, T.A. 1996. Perspective on Inclusion from England. Cambridge Journal of Education 26 (1): 87–101. 5. Boxenbaum, E. & Pedersen, J.S. 2009. Scandinavian Institutionalism – a Case of Institutional Work. Institutional Work: Actors and Agency in Institutional Studies of Organization: 178–204. 6. Brunsson, N. 1989. The Organization of Hypocrisy: Talk, Decisions, and Actions in Organizations. Chichester, Wiley. 8. Chabbott, C. & Ramirez, F.R. 2000. Development and Education. In: Handbook of the Sociology of Education. Ed. M.T. Hallinan. New York and Dordrecht, Springer: 163–187. 9. Christensen, S., Karnře, P., Pedersen, J.S. & Dobbin, F. 1997. Actors and Institutions. The American Behavioral Scientist 40 (4): 392–396. 10. Cowen, R. 2009. The Transfer, Translation, and Transformation of Educational Processes: and Their Shape-Shifting? Comparative Education 45 (3): 315–327. 11. Cropley, A.J. 1979. Lifelong Education: A Stocktaking. Hamburg: UNESCO Institute for Education. 12. Czarniawska, B., Joerges, B. 1996. Travels of Ideas. In: Translating Organizational Changed. Ed. B. Czarniawska, G. Sevón. Berlin, Walter de Gruyter: 13–48. 13. DiMaggio, P.J., Powell, W.W. 1983. “The Iron Cage Revisited:” Institutional Isomorphism and Collective Rationality in Organizational Fields. American Sociological Review 48 (2): 147–160. 14. Evans, P. 2006. Education Policies for Students at Risk and those with Disabilities in South Eastern Europe. Paris, OECD. 15. Ferguson, D. 2008. International Trends in Inclusive Education: The Continuing Challenge to Teach Each One and Everyone. European Journal of Special Needs Education 23 (2): 109–120. 16. Field, S., Kuczera, M., Pont, B. 2007. No More Failures: Ten Steps to Equity in Education. Paris, OECD. 17. Finnish National Board of Education. The Development of Education 2008. National Report of Finland, www.ibe.unesco.org/National_Reports/ICE_2008/finland_NR08.pdf. Accessed: June 10, 2014. 18. Finnmore, M. 1996. National Interests in International Society. Ithaca NY, Cornell University Press. 19. Halinen, I., Järvinen, R. 2008. Towards Inclusive Education: The Case of Finland. Prospects 38 (1): 77–97. 20. Hinz, A. 2006. A World of Difference: Inclusive education in Canada and Germany. Education Canada 46 (1): 22–24. 21. Hinz, A. 2008. From Segregation to Inclusion in Germany. In: Inclusive Education: A Framework for Reform. Ed. V. Heung, M. Ainscow. Hong Kong, Institute of Education: 135–145. 22. Inclusive Education 20 Years after Salamanca 2014. Eds. F. Kiuppis, R. Sarromaa Hausstätter. New York, Peter Lang. 23. Jakobi, A.P. 2007. The Knowledge Society and Global Dynamics in Education Policy. European Educational Research Journal 6 (1): 39–51. 24. Jones, P., Forlin, C., Gillies, A., Schools, S.C. 2013. The Contribution of Facilitated Leadership to Systems Development for Greater Inclusive Practices. International Journal of Whole Schooling 9 (1): 61–74. 25. King, K.L. 2001. From Numerical to Comprehensive Inclusion: Utilizing Experiences in the USA and South Africa to Conceptualize a Multicultural Environment. International Journal of Inclusive Education 5 (1): 67–84. 26. Kiuppis, F. 2014. Why (Not) Associate the Principle of Inclusion with Disability? Tracing Connections from the Start of the “Salamanca Process.” International Journal of Inclusive Education 18 (7): 746–761. 27. Krücken, G. 2007. Organizational Fields and Competitive Groups in Higher Education: Some Lessons from the Bachelor/Master Reform in Germany. Management Revue 18 (2): 187–203. 28. Lankshear, C. 1998. Meanings of Literacy in Contemporary Educational Reform Proposals. Educational Theory 48 (3): 351–372. 29. Latour, B. 1986. The Powers of Association. In: Power, Action and Belief. A New Sociology of Knowledge. Ed. J. Law. London, Routledge & Kegan Paul: 264–280. 30. Latour, B. 2005. Reassembling the Social – An introduction to Actor-Network-Theory. Oxford, Oxford University Press. 32. Müller, C. 2003. Knowledge Between Globalization and Localization. Current Sociology 51 (3–4): 329–346. 33. Nes, K., Strřmstad, M. 2003. Creating Structures for Inclusive Development in Teacher Education. In: Developing Inclusive Teacher Education. Ed. T. Booth, K. Nes, M. Strřmstad.London, RoutledgeFalmer: 116–129. 34. Nunan, T., George, R., McCausland, H. 2000. Inclusive Education in Universities: Why It is Important and How it Might be Achieved? International Journal of Inclusive Education 4 (1): 63–88. 35. OECD 1999. Inclusive Education at Work – Students with Disabilities in Mainstream Schools. Paris. 36. Opertti, R., Belalcázar, C. 2008. Trends in Inclusive Education at Regional and Interregional Levels: Issues and Challenges. Prospects 38: 113–135. 37. Opertti, R., Bradi, J., Duncombe, L. 2009. Moving forward: Inclusive education as the core of education for all. Prospects 39: 205–214. 39. Polish Ministry of National Education 2008b. The Development of Education. National Report of Poland, ww.ibe.unesco.org/National_Reports/ICE_2008/poland_NR08.pdf. Accessed: June 10, 2014. 40. Power, Action and Belief. A New Sociology of Knowledge 1986. Ed. J. Law. London, Routledge & Kegan Paul. 41. Pumfrey, P.D. 2008. Moving Towards Inclusion? The First-Degree Results of Students with and without Disabilities in Higher Education in the UK: 1998–2005. European Journal of Special Needs Education 23 (1): 31–47. 42. Ramirez, F.O. 2006. Beyond Attainment and Achievement Studies – Revitalizing a Comparative Sociology of Education. Comparative Education 42 (33): 431–449. 43. Rawls, J. 2003 . The Principles of Justice. In: A Theory of Justice. Ed. J. Rawls. Harvard, Harvard University Press: 47–101. 44. Riddick, B. 2003. Experiences of Teachers and Trainee Teachers Who Are Dyslexic. International Journal of Inclusive Education 7 (4): 389–402. 45. Sahlin, K. & Wedlin, L. 2008. Circulating Ideas: Imitation, Translation and Editing. In: The Sage Handbook of Organizational Institutionalism. Ed. R. Greenwood, C. Oliver, K. Sahlin, R. Suddaby. Los Angeles, Sage: 218–242. 46. Sahlin-Andersson, K. 1996. Imitating by Editing Success: the Construction of Organizational Fields. In: Translating organizational change. Ed. B. Czarniawska, G. Sevón. Berlin, de Gruyter: 69–92. 47. Santhanam, E., Hicks, O. 2004. Student Perceptions of Inclusion in Unit/Course Evaluations. International Journal of Inclusive Education 8 (1): 91–102. 48. Schütz, A. 1960 . Der sinnhafte Aufbau der sozialen Welt: eine Einleitung in die Verstehende Soziologie. Second edition. Vienna, Springer. 49. Schütz, A. 1964. Collected Papers. Vol II [“Studies in social theory”]. The Hague, Martinus Nijhoff. 50. Scott, W.R. 1994. Institutions and Organizations: Toward a Theoretical Synthesis. In: Institutional Environments and Organizations: Structural Complexity and Individualism. Ed. W.R. Scott, J.W. Meyer. Thousand Oaks CA, Sage: 55–80. 51. Serres, M. 1974. Hermčs III: la traduction. Paris, Editions de Minuit. 52. Skelton, A. 1999. An Inclusive Higher Education? Gay and Bisexual Male Teachers and the Cultural Politics of Sexuality. International Journal of Inclusive Education 3 (3): 239–255. 53. Skidmore, D. 2004. Inclusion, the Dynamic of School Development. London, Open University Press. 54. The New Institutionalism in Organizational Analysis 1991. Eds. W.W. Powell, P.J. DiMaggio. Chicago, University of Chicago Press. 55. Translating Organizational Changed 1996. Ed. B. Czarniawska, G. Sevón. Berlin, Walter de Gruyter. 56. UN 2006. UN Convention on the Rights of Persons with Disabilities and Optional Protocol, www.un.org/disabilities/documents/convention/convoptprote.pdf. Accessed: June 10, 2014. 57. UNESCO 2003. UNESCO Towards Inclusive Practices in Secondary Education, http://unesdoc.unesco.org/images/0013/001322/132278e.pdf. Accessed: June 10, 2014. 58. UNESCO 2005. UNESCO Guidelines for Inclusion: Ensuring Access to Education for All. Paris.UNESCO 2005. UNESCO in a Globalizing World, http://unesdoc.unesco.org/images/0011/ 001195/119581E.pdf. Accessed: June 10, 2014. 59. UNESCO 2007. Executive Summary: East Asia Workshop on Inclusive Education (Hangzhou, 2–5 November 2007), www.ibe.unesco.org/fileadmin/user_upload/COPs/News_documents/ 2007/0711Hanghzou/Hangzhou_Executive_Summary.pdf. Accessed: June 10, 2014. 60. UNESCO 2008a. Inclusive Education: The Way of the Future. Reference Document. ED/BIE/ CONFINTED 48/3, www.ibe.unesco.org/fileadmin/user_upload/Policy_Dialogue/48th_ICE/ CONFINTED_48-3_English.pdf. Accessed: June 10, 2014. 63. UNESCO 2008d. IBE Strategy 2008–2013. Geneva, IBE, www.ibe.unesco.org/fileadmin/user_ upload/Publications/Institutional_Docs/IBE_STRATEGY08_en.pdf. Accessed: June 10, 2014. 65. UNICEF 2013. The State of the World’s Children 2013: Children with Disabilities. New York. Weick, K.E. 1976. Educational Organizations as Loosely Coupled Systems. Administrative Science Quarterly 21 (1): 1–19. 66. Wolny, B. 2010. A Physical Education Teacher as a Part of School Health Education. Human Movement 11 (1): 81–88. 67. World Report on Disability 2011. Geneva, World Health Organization & World Bank.